Cleaning the windows requires a battle with dripping water, stubborn dirt, paper towels, newspapers and the gleaming streaks after all the hard work. Windows cleaning is the task which generally begs a hired professional from a nearby company providing cleaning services. Well, surpassing all the struggle, do you want to be a pro window cleaner? Even you can use quick and efficient methods which the professionals use – with minimal use of a bucket, cleaning solution, a scrubber, a sponge and a squeegee! Now, start with these clever tips from Pure Bright Cleaning to clean your windows and feel the bliss. 1. Pick a cloudy day: Direct sunlight makes the windows dry too quickly, leaving ugly streaks behind. Also, beware of the rain. 2. Eliminate the dust: Remove the curtains and blinds to make the window most accessible. Use the dry brush or broom handle to remove cobwebs and dust. 3. Use a sponge to give the first wash to your window: Use a purpose made window cleaning solution, diluted in warm water. Always test the solution before use, to avoid damage to the windows and paintwork. 4. Use the squeegee like a professional: Starting from the top of the window, use the squeegee in reverse-S pattern for best results. 5. Dry the glass and windowsill: Use the microfibre cloth or drying pad to remove the remaining water from the window and surrounding areas. 6. Choose your equipments widely: Choose your products after quality recommendations and always test before using them on a large scale. You can also try home-made alternatives and DIY solutions to make your own products, without visiting the store. 7. Remove the grease with vinegar: Add 2 tablespoons vinegar to warm water. Add household ammonia or borax into the vinegar cleaning solution. Spray on the window glass and wipe off with the drying pad. 8. The crumpled newspaper on windows: To make your windows sparkle, clean the dry glass with newspaper as the printer’s ink can give your windows a gleaming look. It is highly recommended that you clean your windows twice a year. 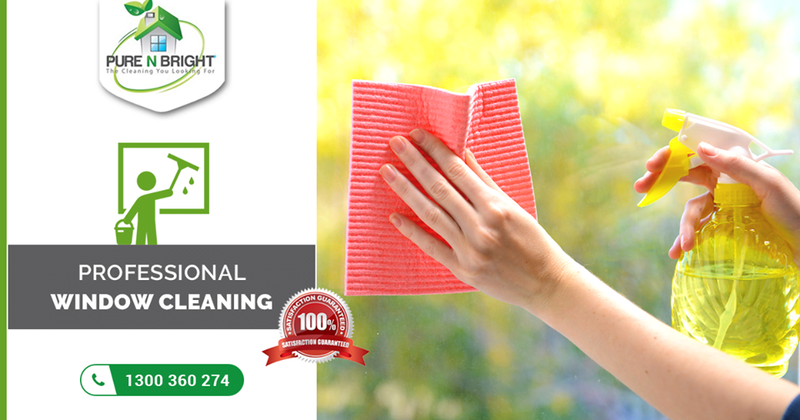 If you still need professional help, contact Pure Bright Cleaning at 1300 360 274. 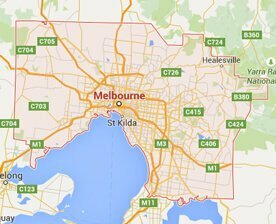 We are serving Melbourne and the suburbs with Open 7 Days/Same Day Services. Know more about our cleaning services, here. Warning: We always highly recommend to get it done by the professionals as doing by your own it might damage your Windows.